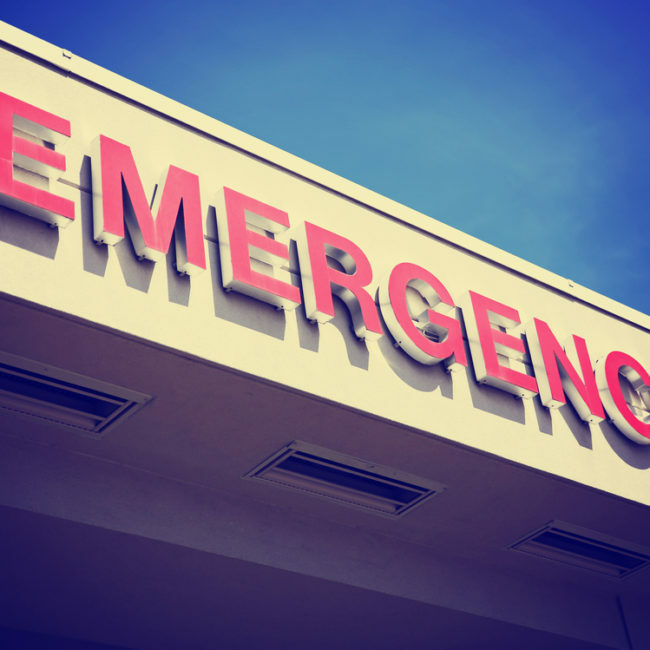 Skin infections are a common reason for people to seek medical attention from an emergency department (ED). When (ED) physicians are deciding which antibiotic to use to treat a skin infection, several factors must be considered. The most important factor is the bacteria causing the infection. As it often takes several days for pathology results, ED physicians typically prescribe flucloxacillin: an antibiotic that covers the bacteria seen in approximately 80% of skin infections. In some cases, bacteria known as Community Acquired Methicillin Resistant Staphylococcus aureus (CA-MRSA) is responsible for infection. If a patient has CA-MRSA, flucloxacillin is not effective and the patient remains unwell until the bacteria is identified and antibiotics are changed. This has adverse implications for both the healthcare system and the patient. If ED physicians had a way of better identifying patients who were at an increased risk of having a CA-MRSA infection, antibiotic decisions could be directed more appropriately. In this study, we examine two potential ways of better identifying patients who are likely to have CA-MRSA. These include 1) the identification of demographic or historical risk factors that pre-dispose individuals to CA-MRSA and 2) an examination of whether the type of bacteria causing infection can be rapidly identified using a nose or throat swab. We will recruit individuals with skin infections and will ask them to complete a questionnaire assessing potential risk factors. We also will take nose and throat swabs and assess whether they identify CA-MRSA at those sites. We then examine how accurate the potential risk factors and/or nasal swabs are of identifying patients with CA-MRSA skin infection. It is hoped that a combination of these two approaches will assist ED physicians to determine appropriate antibiotics and prevent treatment failure and the associated patient morbidity and healthcare costs. The research team collected samples from more than 380 patients and identified key risk factors for MRSA in skin and soft tissue infections (SSTI) . The data is being prepared for publication. Following the project, the team is now developing a risk stratification tool for patients with SSTI. This research will enable clinicians to more appropriately tailor antibiotic therapy and provide increased coverage only for those patients at high risk of MRSA. Limiting the number of patients requiring broad antibiotic coverage would reduce healthcare costs, decrease the risk of antibiotic resistance, and avoid antibiotic related side effects.